Although it is Thanksgiving weekend that will be filled with family, friends, food and of course, football, the culmination of the holiday this year cannot be football or basketball or hockey games on Sunday. This year, due to what has happened in Ferguson, Missouri – the culmination has to be preaching. 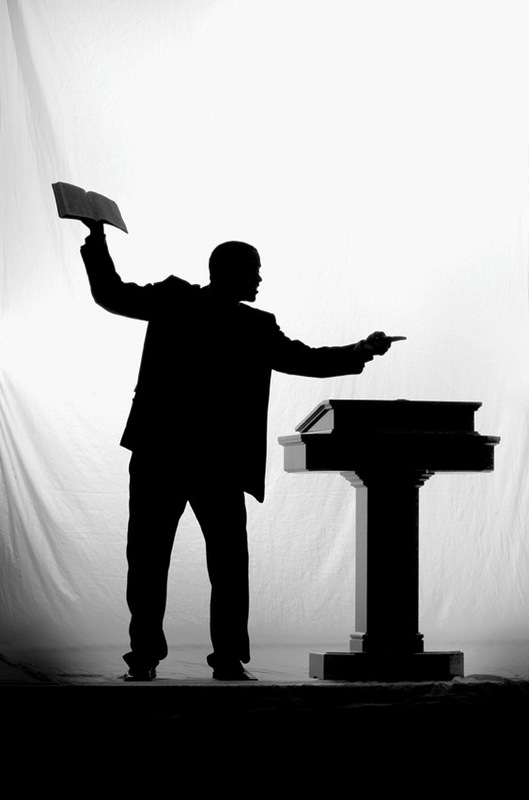 For those pastors who will be home Sunday or for those associates or guest preachers who will be filling pulpits across the country, to simply preach without making a reference to or directly speaking to or prophetically preaching to the pain of the African American community and the society at large is malpractice. Someone once asked his pastor, “what I do I preach?” The pastor told him to get out of his ivory tower office at the church, go to the hospitals, hang out in the barber shops, go to the grocery stores and then he would find more than enough to preach. Preaching that is void of connectivity to current and relevant circumstances is not preaching, it’s a speech in a robe. The circumstances of Mike Brown’s death are certainly well known. I think what the majority culture of this country fails to realize is that the anger in the streets is not about another death, because when you pull out the statistics, you are more likely to be killed by a member of your own race than from another (i.e., more blacks kill blacks; more whites kill whites; more asians kill asians” according to FBI murder statistics. In 37 years of ministry, I have buried victims of murder and in not one instance was it someone who was killed from someone outside of their race. That’s not the issue. The issue is that the perception within the minority races of this country is the cavalier nature of our value when it comes to the color of authority – when those men and women who wear uniforms as police, state patrol, national guard, etc., a reasonable argument could be made that instead of “taking down” a suspect via a disabling shot to the arm or leg, that deadly force is not the last option, but the first option. Further, it is well believed in our community that if a person of color (especially one who has no money) is dealing with judicial system they are less likely to succeed or they are less likely to receive adequate and aggressive representation. Sentencing statistics are staggering and prior to President Obama’s administration, a man convicted of a small portion of “rock” cocaine would get a greater sentence that a man convicted of a small, more-potent portion of “powder” cocaine. Whether it’s true or not, it’s the perception. Add to the mix that we are losing our heroes. Our politicians that represent us are rarely seen in the community once they are elected. In my area, our state representative is visible and viable. We all know where his office is, we all know where he worships, we see him in the grocery stores and at community events. But the truth of the matter is that many of our politicians show up to our churches to campaign for votes, many of them rarely stay for the entire worship, and it is rare to see any even give during the offering. Even our celebrities are found with clay feet. They are not the larger-than-life personalities we once thought they were. Whether it’s true or not it’s the perception. Freedom of expression is a Constitutional right. Rioting is not. I propose a different type of rioting – let’s riot in our communities. Let’s fix them ourselves. Let’s employ our anger into making real change. Dr. Martin Luther King, Jr. and those of the movements of the 60s and 70s fought for our rights as citizens. Now we must make our citizenship real. We cannot complain when less than 40% of us vote. We cannot complain when 80% of us try to escape jury duty. We cannot complain when we fill up an auditorium to see Beyonce and Jay-Zee at $200 a ticket and then stay home on Sunday mornings and disconnect from our communities in the worship hour. This weekend we need to preach Biblical answers to our feelings of pain, hurt and ethos. This weekend we need to dig deeper and yes, even suggest that justice also has to be meted out with grace and forgiveness. We need to preach that misplaced anger only damages ourselves. During the Rodney King riots, I visited a friend who worked at the Arco Tower in Los Angeles and we were there watching the riots and noticed that it only happened in one part of town – the African-American part of the city, and it was literally on fire – black businesses, black homes, black stores, black car dealerships, black churches. Our communities are hurting. Our young men are without viable fathers in the home. Our young girls have been valued for their whirls and gyrations instead of their beauty and brains. Our institutions of higher learning connect during the day and disconnect after hours with the communities in which they serve. Our school boards don’t represent the community. Our elected officials rarely represent the communities. Our leaders have gotten older and less imaginative. Those who speak for us really don’t in many cases because of their lack of a God-directed voice or agenda. The recession may be over on Wall Street but the depression is still gripping our communities – especially in our larger cities. This is not just a “black problem” because any part of the larger context of society that is in pain creates a context of pain to the larger whole. Every community has its set of problems but it’s effects affects the larger society. The millions who our President wants to bring out of the shadows should not be viewed as “less that human” because they sought for themselves and their families a better life. However, the plight of Hispanic-Americans affect the larger context and therefore the larger discussion within our society as well. The issue of Mike Brown cannot be solely rested as a black problem. It is a complete breakdown of the system. Why deadly force was preferred instead of other methods including tazing of which the officer was to have said to the grand jury that he didn’t prefer to carry it because it was uncomfortable. Why a dead body was let to stay in the hot sun for four hours and no immediate response by EMS services because it “was a crime scene?” Why a grand jury, secretive in nature, was allowed to meet and yet details from their proceedings made it to television and print media and no judge acted accordingly to slap a gag order on all participants or at least considered dismissing that grand jury and impaneling another? Why a Prosecuting Attorney handling one of the biggest cases in the area’s history would boldly come to the microphone and say that instead of him pro-actively handling the case, that he “turned it over” to two other attorneys within his office? Why the National Guard was ordered deployed and yet black businesses were left to burn unprotected? And finally, why make a decision that everyone knew was going to kindle emotion and reaction be announced in the middle of the night, after office hours, after everyone knew in law enforcement, judicial, government and schools, instead of during the daylight hours when it would have been less attractive to the potential of danger? These are not black problems – they are societal flaws that need to be addressed. We cannot be satisfied with a small percentage of us voting. It’s got to not only be voter-eligible but we need to become candidate-eligible. We’ve got to encourage people of color to run for offices – even if they don’t win, we need to be on every ballot in every state – regardless as to the political party. This weekend – my brother, my sister – no matter what denomination you hail from; No matter what convention or fellowship you are a member of; No matter what side of the political spectrum you stand upon; Roll up your sleeves, humble before the Lord, dig deep, search the Scriptures, get into Logos, WordSearch, whatever resources you use . . . This weekend – YOU MUST PREACH. Rev. Houston, Dynamic words to absorbed. This message could be utilized by ministers all over the word, if one’s message does not include Ferguson. Thank you for the truth and words of wisdom. May God continue to bless you and your ministry. P.S. I enjoy reading your post because topics are very relevant. Also share blog articles with my pastor and others. Be Blessed!